Young Jamie Duxfield was fishing with his Dad for the first time and after catching a Gudgeon and a couple of small Rudd the float when under and something much bigger pulled almost all the elastic from his 4m whip! 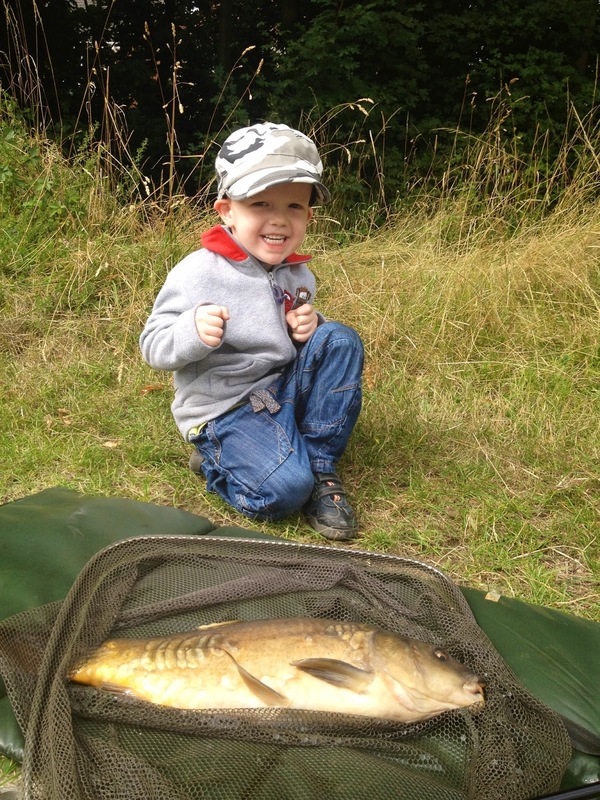 When it finally ended up in the net it was this Carp, and Jamie is now hooked for life! Jamie and his big Carp!